Note from Raelyn: Today’s guest post is written by Leona, a freelance business consultant and writer. As someone who makes a living by writing, she’s here to offer her best content writing tips! Do you know that the number of bloggers globally is poised to reach almost 32 million by 2020? You face a staggering number of potential competitors. Hence, being able to write content strategically matters. 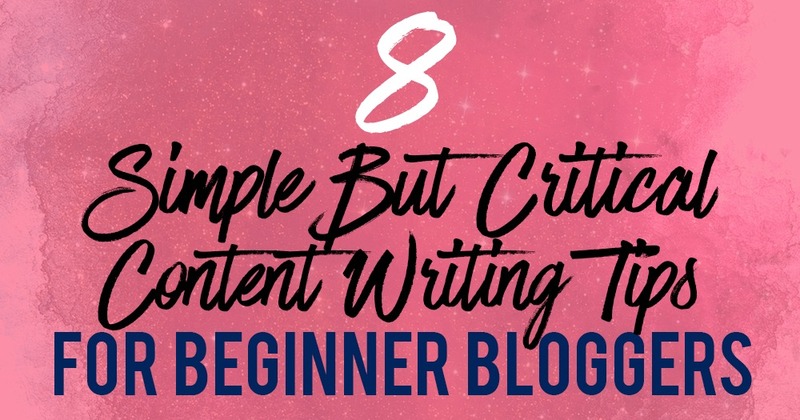 Here are 8 content writing tips to help you to write your blog articles more effectively. Yes, making money from your blog is important. However, this mindset can be destructive if you go into blogging with only blinking dollar signs in mind. Make sure to find a niche you are really passionate about when starting a blog. This can be anything from nutrition to medicine or car design. Once you settle for a niche, write in your own voice and don’t try to copy anyone’s style. While it may help you alleviate some of the beginner’s anxiety, it won’t do you any favors once your audience starts to build up. Don’t try to be someone else and give your own voice some time to breathe and develop. There are many things a blogger have to do before they publish any blog post, such as optimizing for SEO or creating social media images. These tasks, while important, may get in the way of you writing quality content. Hence, make sure to always leave the optimization process until the end, as trying to get everything “done” before you actually write anything can slow down your writing and leave you with a half-baked article. Write first, edit and optimize after. The headlines and meta descriptions you write will be the first contact people make with your content. Internet users often skim through content and only read headlines to decide if they should continue reading the article. Write catchy headlines that are also professional. Don’t rely on click-bait tactics of using all-caps and exclamation points. Be your own blogger and don’t fall into the trap of wanting fast ad revenue with little to no effort. Your meta description is also important as it provides a small tidbit of information that supplements your headline. Search Engine Optimization helps you to get your content found on Google. Make sure to always optimize all of your content conscientiously! SEO tools like KWFinder (*affiliate link at no cost to you) can help you tremendously when it comes to keyword optimization and overall formatting. Original content is nothing without a coating of SEO which will make it easier to spot both for search engines and readers. It might be cumbersome to work on keyword density or tagging headings and subheadings when you have content to create, but it’s so important! Once you start seeing more traffic and conversions, you will start to realize the true importance of optimizing your content. Given the short-form nature of social media content in recent years, chances are that your audience would like to see some variation in your articles. In that respect, you can introduce multimedia content as a means to expand and diversify your content creation. According to data, content with multimedia references receives 94% more views than articles that rely solely on written arguments. Visual materials such as images, charts, graphs, and infographics add a lot of levity to your claims, especially with outbound research to back it up. Moving visuals such as videos, animation, gifs or even interviews or live discussions add a lot of personality to a blog. Make sure to settle for the content types which you are comfortable with creating in-house without having to hire professional help specifically for this purpose. Gauge your audience’s interest in new content types and topics as you introduce them in order to eliminate detractors and focus on the ones that resonate with the readers. Keeping in touch with your readers can sometimes be tricky. The comments section of your content should be buzzing with chatter if you’ve done things correctly. However, the off time between content publishing is just as important for your growth. Your email list can help you stay in touch with your followers on an ongoing basis. You can include a small call to action for subscription at the end of each content piece to get more subscribers. People who are interested in hearing more from you will gladly provide their contact information. However, you should always follow up on new subscribers by offering some form of exclusive content or a free lead magnet as a thank you for their trust. Once your mailing list is built, use it to announce your content calendar, schedule any live chats or Q&A, and other community activities. You can also use your email list as an influencer and promote relevant products or services to your audience. Fulfilling expectations is important if you want to develop a good standing with your community and have organic growth. Communicate with your audience and ask them about their experience with your content. What can you improve going forward and what should you stop doing altogether? Listen to feedback, but you don’t always have to apply it. One person’s opinion does not represent the opinions of the masses. Make time to create content which suits your personal wants as well as content meant for your target audience’s needs. Your blog should ideally meet both of these needs. It takes time and patience for a blog to grow. Beginners often expect fame overnight and this rarely happens. While some content might go viral for no apparent reason, organic blog growth is a full-time job. It will take several months (or longer) for your blog to get the traction it needs. It’s important to stick to your initial plans and create a schedule which you can follow. Recent surveys show that over 30% of bloggers blog for less than a year at the time of the survey. This shows us that few people see through their blogging ideas and how many cut their losses and move on to something else. Drip feed your audience with constant updates and original content. Don’t lose heart if you get single-digit views in the first few weeks and make sure to give the entire ordeal the chance it truly deserves. I hope you’ve found some of my tips and advice insightful. The next step in your blogging journey should be to settle for a niche you like and think of what to blog about. Once you know what you want to talk about, it will be much easier to create a content calendar and start blogging regularly. Be sure to keep an eye on several popular sites in your niche to get more great content ideas! Bio: Leona Henryson is a freelance writer and UX designer at Essay Supply. When she is not writing or designing, she is swimming, hiking or snowboarding. You can connect with her via Twitter @Leona_Henryson. « 15 Best Black Friday 2018 Online Business Deals You Must Know About! Great content writing tips are given by you. 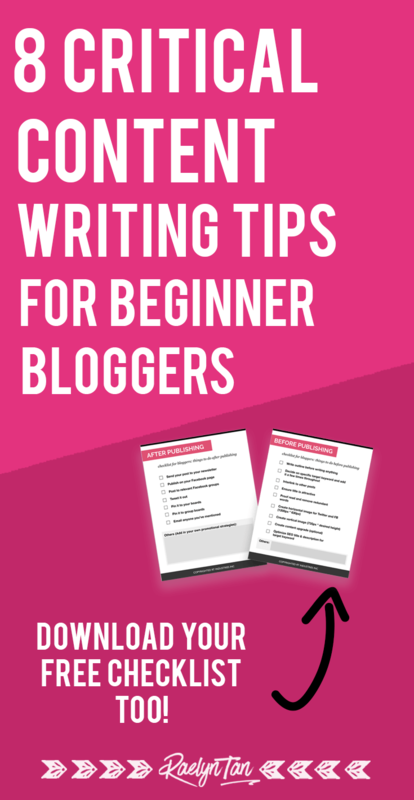 These are very helpful for beginners who want to become a content writer. Such a complete list about content writing tips. Thank you for stopping by, Koderey! As a newbie I am inspired for content writing. Thanks for sharing with us.